A researcher at the University of the West of England (UWE Bristol) is developing a bio-inspired ‘smart’ knee joint for prosthetic lower limbs. 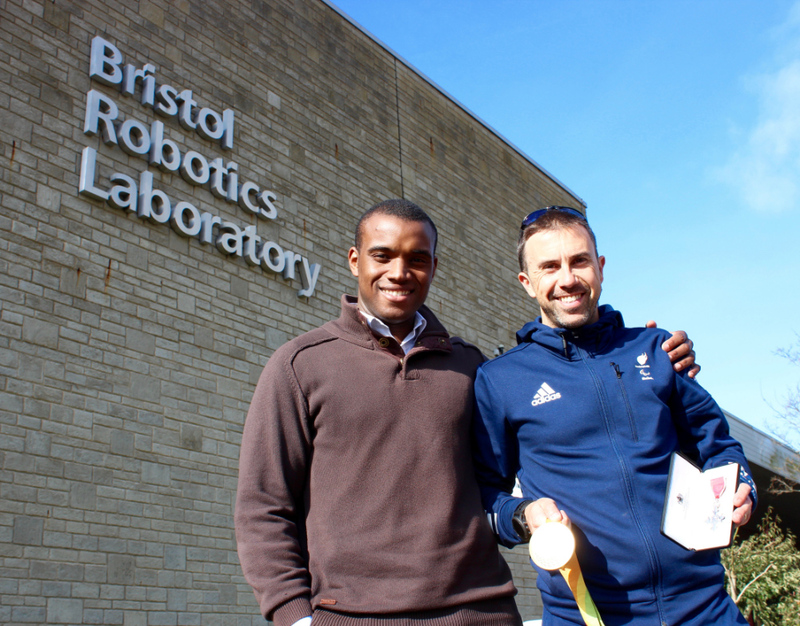 Dr Appolinaire Etoundi, based at Bristol Robotics Laboratory, is leading the research and will analyse the functions, features and mechanisms of the human knee in order to translate this information into a new bio-inspired procedure for designing prosthetics. Dr Etoundi gained his PhD in bio-inspired technologies from the University of Bristol where he developed a design procedure for humanoid robotic knee joints. He is now turning his attention to nature, a growing area in robotics known as Bio-mimicry, combining curiosity about how biological systems work with solving complex engineering problems, in order to develop a prototype smart knee joint for prosthetics. Andy Lewis, a Paralympic Triathlon Gold Medallist (Rio 2016), who wears a lower limb prosthetic, will try out the new joint once developed, to compare its energy consumption and gait efficiency to current prosthetics. There are currently approximately 100,000 knee replacement operations performed every year in the UK. Lower limb amputation has a profound effect on daily life, and prosthesis must be comfortable and adapted to people so they can maintain daily activities such as walking and running. Looking for inspiration in nature, Dr Etoundi will examine how the human knee works, as well as looking closely at the design of knee replacements used in surgery and at current knee joints in prosthetic limbs. These three areas of knowledge will inform a procedure for designing a knee that could give greater, more responsive movement, while offering the control and intelligence that comes from robotics. Dr Etoundi says, “I have spent years designing knee joints for humanoid robots, but the human knee has evolved over millions of years and is incredibly successful. The human knee is a very complex joint with ligaments, which guide the motion of the knee, and bones that perform the motion. Current mechanisms in prosthetic knees have a straightforward pin joint with ball bearings that does not have the sophisticated range of motion and stability of the human knee with its cruciate ligaments. “The complex interaction between the soft tissue (ligaments) and the bones in the knee joint is an area that has yet to be replicated in prosthetics. We need to understand this better in order to provide a better knee joint for people to use. I will study the different mechanisms within the knee joint and look for ways to translate its beneficial functionalities into a design concept for prosthetics. The research team includes Professor Richie Gill (University of Bath), Dr Ravi Vaidyanathan (Imperial College London) and Dr Michael Whitehouse (University of Bristol). Dr Etoundi is a Senior Lecturer in Mechatronics at UWE Bristol and is a member of the Medical Robotics group at Bristol Robotics Laboratory, which looks at the application of robotic technology in human-controlled and surgical applications.